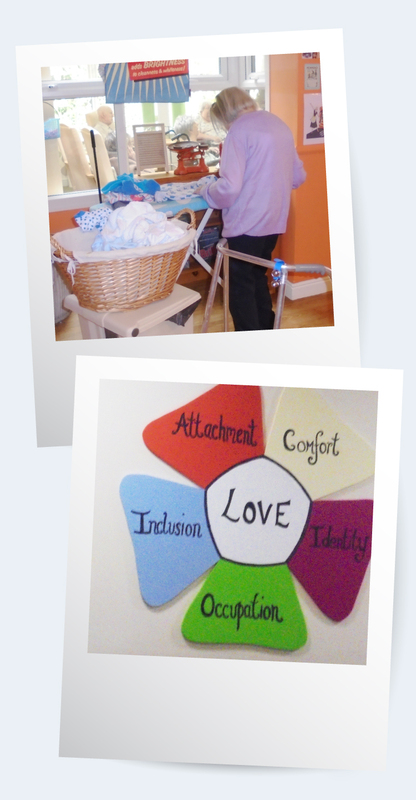 We realise that care of our individual residents extends well beyond their physical needs. We understand that social interaction and mental stimulus is essential to every resident’s happiness and well-being. As well as creating a life story for each resident we will record their requirements and preferences, these documents develop and evolve with each resident’s journey at Scarsdale Grange. We also understand that Scarsdale Grange is each resident’s home and we seek to ensure that their environment reflects this. We seek to ensure each resident feels as independent as possible by providing care that does not restrict their mobility or choices. At Scarsdale Grange we understand that the activities people carry out in their free time are often the things that they most look forward to and enjoy. Our hobbies and interests our individual to us, they shape the person we are and help paint a picture of the way we like to live our lives. We have two dedicated members of staff who engage in meaningful activities every day in order to stimulate and entertain our residents. Our staff have been specifically trained in providing dementia specific activities in order to mentally and emotionally stimulate and support our residents. Scarsdale Grange offers freshly cooked and nutritionally balanced meals with a different seasonal choice available every day. Our professional chefs use fresh ingredients to prepare a range of delicious wholesome meals in our kitchen and can be enjoyed throughout the day. Our catering team regularly consult with our residents to ensure we understand each individual’s nutritional requirements and preferences. In addition chefs carefully plan for weekly menu cycles which are changed four times a year to ensure that each resident receives a varied and balanced diet. We understand how important mealtimes are to our residents and how important they are in creating the family environment within our home. At Scarsdale Grange we ensure that all care staff eat with residents at mealtimes having seen the benefit that this has brought to our residents’ happiness and well-being.
" Scarsdale Grange is each resident's home and we seek to ensure that their environment reflects this "